‘d^A/dx^A X^B. A is an integer, where B and X are real numbers. The program calculates altitude and azimuth of a given celestial body. The latitude is often entered in degrees/minutes/seconds format. Do this using the [ ° ‘ “ ] key. The calculator is set in Degrees program. Source: “NAV 1-19A Sight Reduction Table” HP 65 Navigation Pac. Hewlett Packard, 1974. This program calculates the distance off between to bearings. Since the Casio fx-3650P does not have an absolute value function, the workaround √(x^2) is used instead. The program calculates the force and flow. SI units are used in this program. 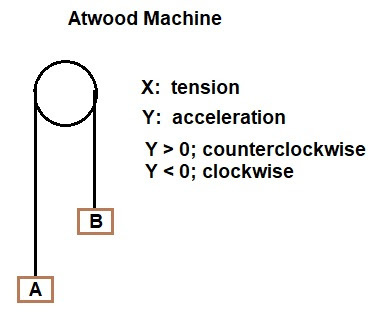 The program calculates the tension in the string of the Atwood Machine and the acceleration of the system. If the acceleration is negative, the pulley is turning clockwise, otherwise it is turning counterclockwise. 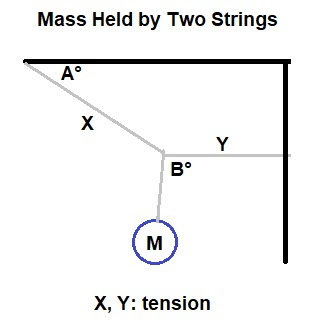 The following system of equations is solved, where X is the tension of the strings and Y is the acceleration of the system. All original content copyright, © 2011-2018. Edward Shore. Unauthorized use and/or unauthorized distribution for commercial purposes without express and written permission from the author is strictly prohibited. This blog entry may be distributed for noncommercial purposes, provided that full credit is given to the author. Please contact the author if you have questions. The Casio fx-3650P only holds 4 programs correct? In your opinion isn't this a bit cumbersome for a programmable scientific? Yes, there are only slots for 4 programs and only 360 steps. To use all four slots efficiently, you will need to be selective and efficient with the steps. If you have a collection, you may want to consider buying a small notebook (can be a book of index cards wired together) to have the programs as a reference. I started a few booklets for several calculators. Thanks.How can I solve 3 equations with 3 variables using casio fx-3650P ?? Please..